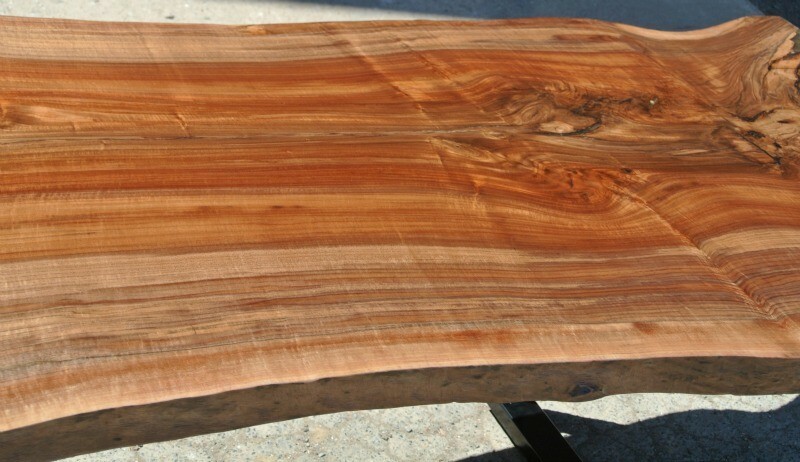 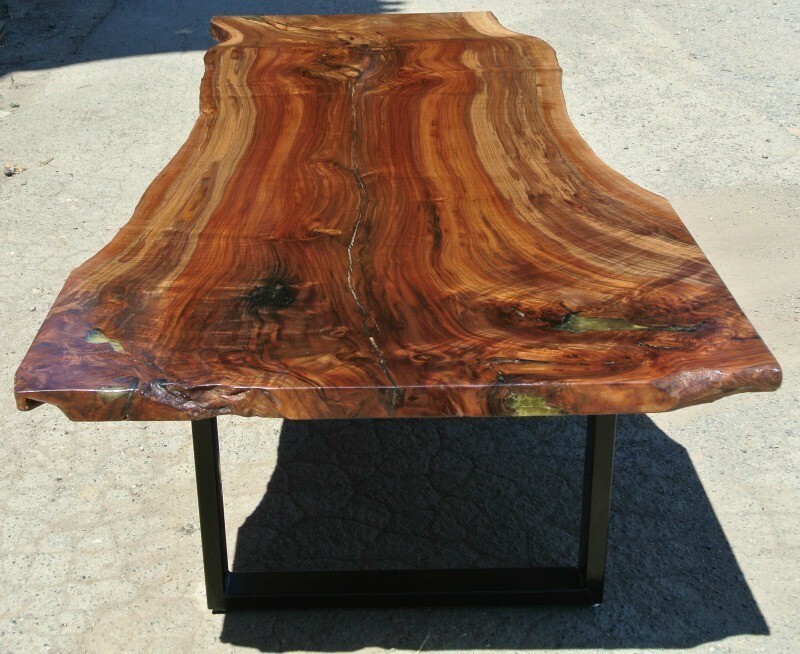 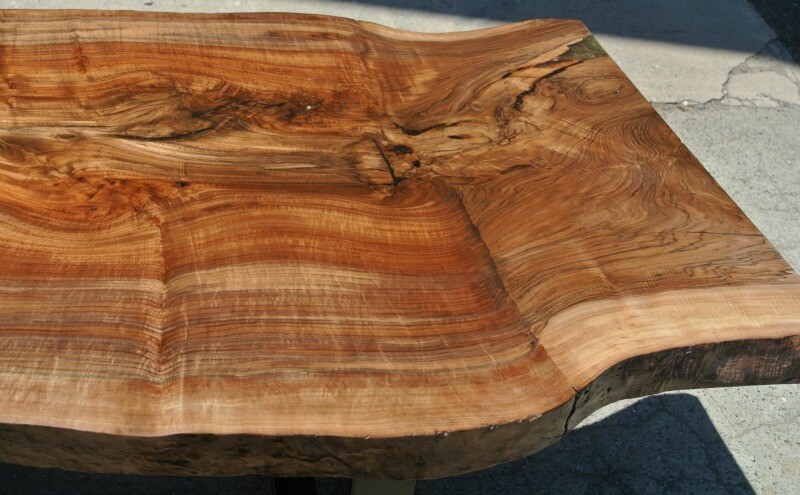 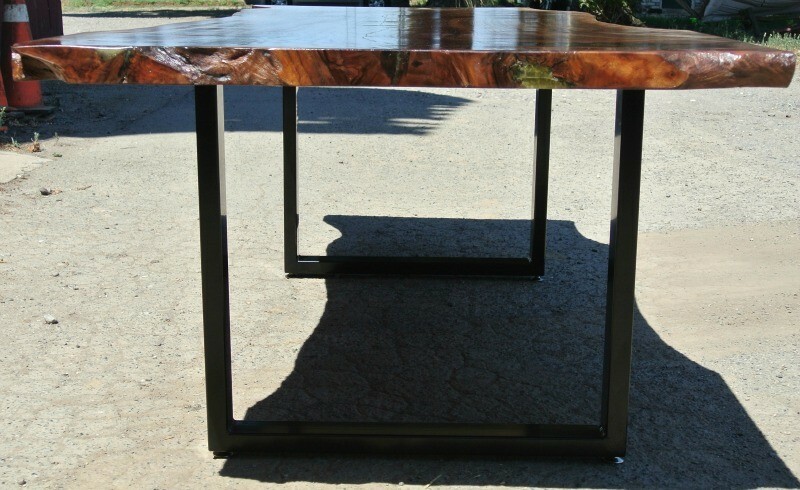 This is a custom 8′ long by 36″-40″ wide Grafted English Black Walnut slab dining table. 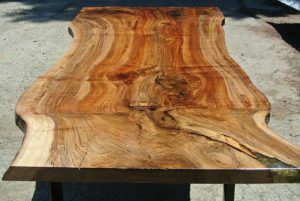 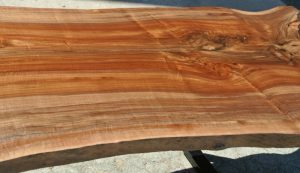 The slab that was used for this table came from an orchard Walnut tree that we salvaged in Knights Landing, Ca. 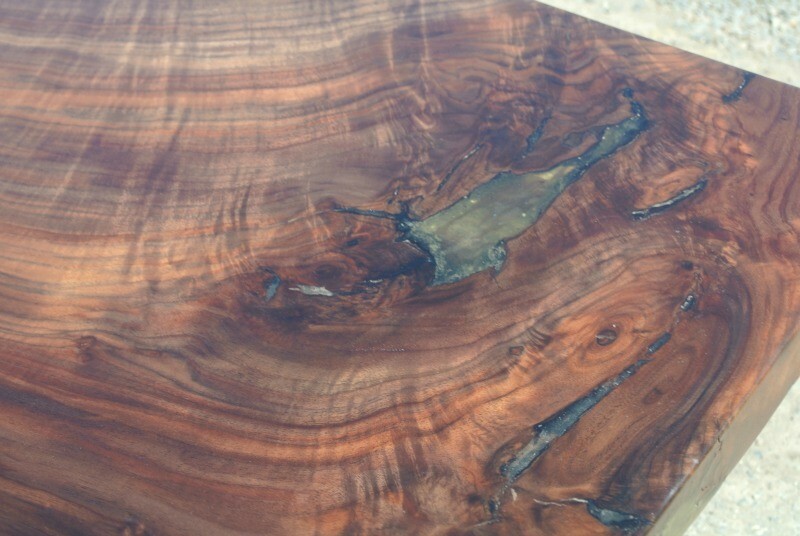 We filled all of the cracks and checks with epoxy resin and finished the top and bottom with a conversion varnish. 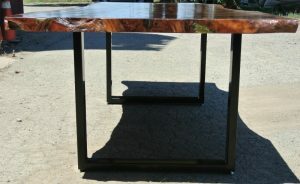 The base is our sled style that is made from 1″x3″ tubing and powder coated semi gloss black. 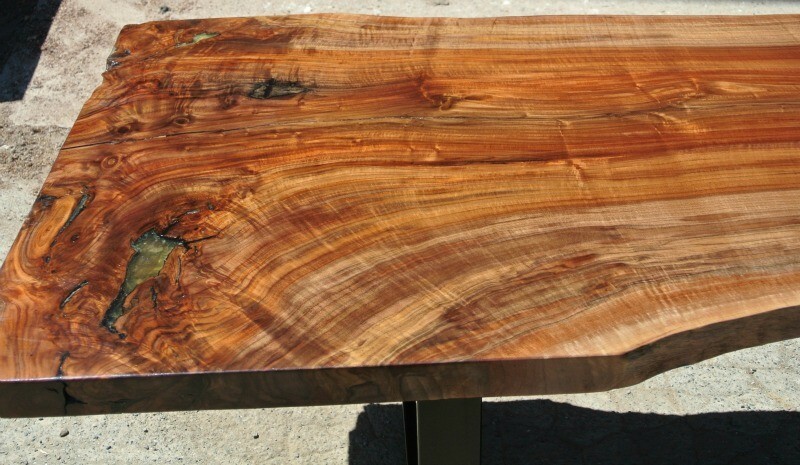 Date finished 7/20/15. Owner: John in Alaska.